Canyonlands National Park preserves a colorful landscape of sedimentary sandstones eroded into countless canyons, mesas and buttes by the Colorado River and its tributaries. The Colorado and Green rivers divide the park into four districts: the Island in the Sky, the Needles, the Maze and the rivers themselves. While the districts share a primitive desert atmosphere, each retains its own character and offers different opportunities for exploration and learning. 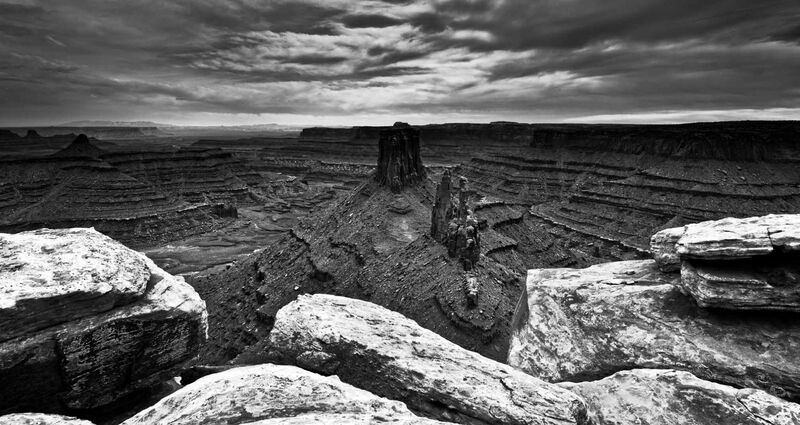 Marlboro Point - is located on the boarder of Canyonlands National Park's Island in the Sky District and Dead Horse State Park. While the drive out to Marlboro Point is only 4-5 miles on semi rough terrian the route can be confussing because most roads are unmarked. 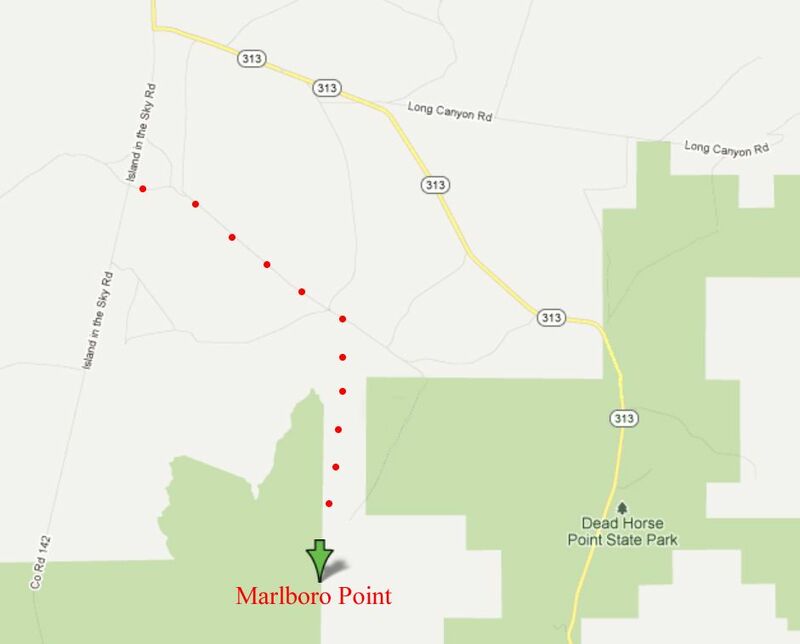 The provided video shows the complete route to Marlboro Point which takes about 15-20 minutes in a 4wd vehicle. On thing to keep in mind when comparing the map to the written directions is roads that are on the Google and Garmin maps may no longer be there due to closure or sand drifts. These roads I have noted on the map. To get out to Marlboro Point requires a vehicle with decent ground clearance a 2wd vehicle can get within 1 mile of the point. Driving Directions: From 313/Island in The Sky Rd make the first left (N38 32.174 W109 47.748) past the turn off that leads to Dead Horse State Park which will be about 1 mile past Dead Horse SP turn off. Follow this unmarked road for 1.9 miles - note: there will be a series of spur roads that branch off this "main" dirt road. 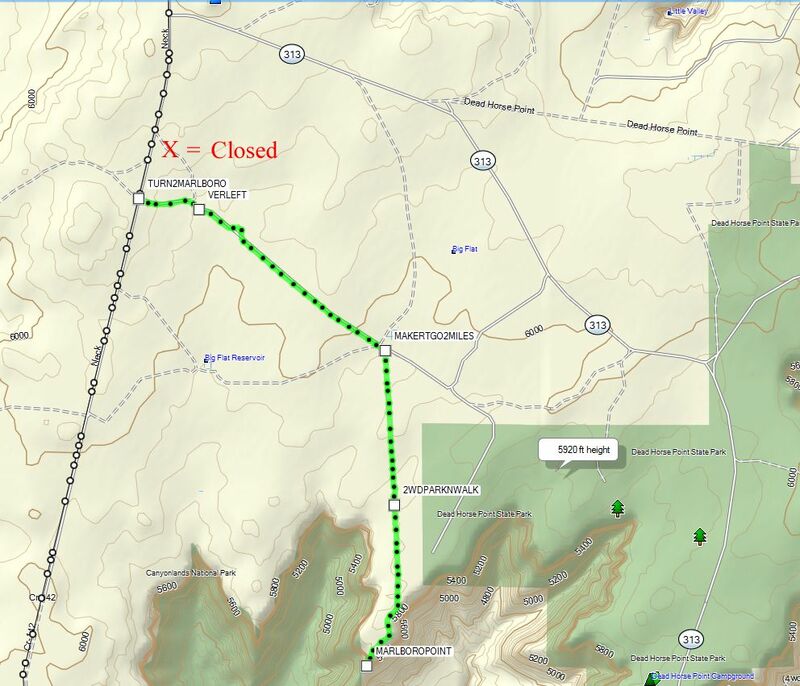 At 1.9 miles (N38 31.359 W109 46.094) there will be a road that branches of to the right at 45 degrees marked with a "no camping" sign. Take this road straight for 2 miles and you will have reached Marlboro Point (N38 29.662 W109 46.214.) From the parking area to where this picture was taken is a few hundred feet. Sunrise tends to be the best time to photograph Marlboro Point but sunset and cloudy days can produce great photos as well. Photograph - Nikon D3x 14-24mm lens @ 17mm f16 @ 1/30 second ISO 50 EV -1 with at 3 stop ND filter. 3/25/12 508 p.m.